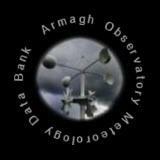 This databank is operated by Armagh Observatory as a resource for education, scientific research and the general public. It has been made possible through a major grant from The Heritage Lottery Fund. The Irish Soldiers and Sailors Land Trust has provided funding for the calibration of the raw data. Currently the meteorological records are available as scanned images and work is underway to provide the complete record in plain text format.